Monday brings the beginning of another week, and Nintendo of Europe has once again served up details of the download goodies on the way this week. The stand-out is possibly the third entry in a popular AR series on 3DS, though there's a tempting budget title on Wii U, NES titles on both platforms and more to consider. Let's get to it. Abyss (EnjoyUp Games,€1.99 / £1.79) — Natural resources are scarce and the survival of the human race is in danger. Desperate to find new energy resources, the ASAN creates a biomechanical robot called Nep2no that is capable of withstanding extreme depths in the hope of finding new energy sources. 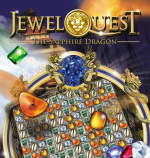 Our review of this budget release is imminent, while we quite liked the DSiWare original. 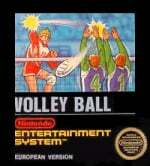 Volleyball (Nintendo, €4.99 / £3.49) — Nintendo continues to release its basic sports range from the NES era onto its shiny new system, this time taking to the court for some Volleyball shenanigans. Unfortunately this one is, in our opinion, absolutely rubbish; you can read why in our Volleyball review. 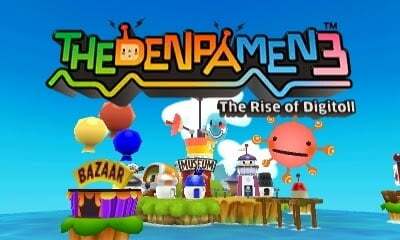 The Denpa Men 3: The Rise of the Digitoll (Genius Sonority, €9.99 / £8.99) — The quirky and colourful AR (augmented reality) RPG returns, and this time includes homes for each Denpa Man that can be customised. While that sounds like a fun extra, as fans of the first two titles we're particularly looking forward to heading out into the real world with our 3DS while tackling another adventure with the cool little men; we'll let you know what we think in our review, soon. 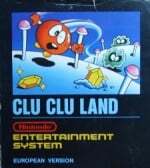 Clu Clu Land (Nintendo, €3.99 / £3.59) — This is an action puzzle game from the early days of the NES, in which you manoeuvre bubbles by throwing them around the stage. This can also be played with a friend, but the fiddly controls will take a fair bit of practice and skill; it could be worth a punt for some, as explained in our Clu Clu Land review. That's the line-up this week, Europe. Let us know what you're planning to pick up in the poll and comments below. At that price I can't pasx up Abyss! Abyss seems like a lot of fun for 2 bucks. Might be worth buying. Wii U VC is doomed. Where's Castlevania 3? Contra 1&2? Rockman V? Super Mario RPG? That Rondo of Blood for SNES? Punch Out SNES? Minish Cap? I might get Denpamen3, but I'm pretty burnt out on that series by now. still playing child of light, so its back to nothing for me. I think the store really needs more demos. I think by this point it is more so they can get the extra advertising from the "on Sale" column's of the eshop. Is it just me or do Wii U Indie games almost never go on sale (other than Trine). There are 5 Mega Man games in the 3DS VC pipeline and we only get this? Virtual Console offerings are absolutely awful. Nintendo should be ashamed. Well didn't take long for the quality/quantity of VC release to fall off a cliff poor week poor week indeed. Alright, that's it! I have had it with this one VC game a week! We need to start a petition!! @Jazzer94 after falling off the cliff a rectangular black object was seen following the same fate.it was an original xbox sent down to make sure the job was done properly. Horrendous stuff indeed..
Ugh! After all the momentum Nintendo started to regain with the release of the GBA titles they have to go and release something like this on VC. @heyzeus002 And just to be completely certain an Xbox One was then sent plummeting down the cliff followed by Kinect to provide reconnaissance. Huh, I'm not in Europe but Nintendo's letting me down. I thought that they'd finally picked up some steam again! I suppose I was wrong. C'mon, step it up Ninty! The bitter taste of my utter DISAPPOINTMENT about the lack of NES, SNES and Mega Drive VC titles will hopefully be washed away by the announcement of the release dates of Shovel Knights and Scram Kitty this week. According to both studio's, their games are really finished now. Wow, one of the weakest weeks in ages. And I'm thoroughly disappointed that the GBA VC does not continue with at least one additional release per week. at £2 the abyss is a no brainer. Nothing for me. Was tempted by Swords and Soldiers but the reviews say its been broken in the transition to 3ds. As disappointed as I am by only being one new VC title this week on the Wii U, for me personally I still have a backlog of games to complete so I am not too concerned... yet. No Mega Man for us yet? how depressing .... hopefully those 5 VC titles will be heading over here sooner rather than later.. I hope you're right. I am looking forward to both of those games. Abyss, and maybe Volleyball later. 69% of 111 votes cast as nothing at all this week. Well done nintendo and well done at listening to what your consumers want. @DESS-M-8 you didn't want nes vollyball???? How is this week boring? 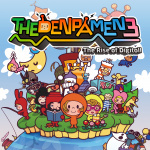 It has Denpa Men 3 for Pete's sake! @OorWullie @Tsurii897 Haha, nice puns! Here's another one: Nintendo has no "clu" what gamers want anymore. @LeviCelJir Denpa Men is a niche release. A lot of people aren't interested in it. I remember getting Trine 2 when the Wii U released, because it was on offer for the launch week. Low and behold 18 months later they've put it on sale again and again. Just lower the price permanently, Nintendo, and stop flip flopping about! Nothing for me again, never been interested in Denpa Men, or anything else up this week. All I know is Japan has 143 vc wii u titles and north America has only 85....terrible!! @ledreppe Steam at the moment are doing Trine 1 & 2 + the DLC all for £1.79 so clearly the devs know they can get away with higher pricing as its on a Nintendo console, hence why i really limit my digital purchases. They have to run out of crappy sports titles eventually. It's as if they don't have an amazing library of games that aren't on the VC yet to choose from. @XyVoX Trine 2 Director's Cut on Wii U is a great release with Wiimote & Nunchuk support and definitely worth even the higher price, but most people probably have it by now. Okay,not too worried this week. But next week better bring at least news of mays gba vc range. Come on nintendo keep up the e shop momentum youve had the last few week! @XyVoX Regardless of anything else the only 60fps ones are Steam and PS4. They didn't really have any momentum in the first place with GBA games on the Wii U. As a 3DS Ambassador, those games should have been on the 3DS VC as well. Not releasing them on the 3DS VC just pisses off their fanbase, making them even less likely to buy a Wii U. If there's technical reasons, fine, but at least provide an official statement about it rather than leave your fans in the dark, Nintendo. Plus, the 3DS had no VC games (outside of SMB3) during April. That's not momentum, that's slapping the 3DS install base in the face to please the vastly smaller Wii U install base. It's like they want to fail! I see another great choice for VC gaming. Glad to see it go back to normal we sure wouldn't want it to change. I don't know why they don't just hammer out the best N64 SNES and Gamecube games now. Why aren't they doing this? Surely there is enough first party content from all those consoles plus the GBA to release at least 1 or 2 games a week all the way to the end of the year. The Wii VC was so good at the start. So many Sega games and Nintendo games. I'm so bored of these very basic NES games.